There are lots of studies of the energy and GHG input into production of solar panels. I’ve read some and wanted to highlight one to look at some of the uncertainties. For the system’s energy efficiency, the average energy efficiency of a Sunny Boy inverter is assumed 94%, and other system losses are assumed 5%. This is a grid-connected solar panel – that is, it is a solar panel with an inverter to produce the consumer a.c. voltage, and excess power is fed into the grid. If it had the expensive option of battery storage so it was self-contained, the energy input (to manufacture) would be higher (note 1). For stand-alone (non-rooftop) systems the energy used in producing the structure becomes greater. A big part of the energy is consumed in producing the silicon, with a not insignificant amount for slicing it into wafers. BOS = “balance of system” and we see this is also important. This is the mechanical structure and the inverter, cabling, etc. Transportation energy use turned out pretty small as might be expected (and is ignored in the total). Therefore, the total energy consumed in producing and installing the 22 kW grid-connected PV system is 206,000 kWh, with 29% from BOS, and 71% from PV modules. What does it produce? Unfortunately the data for the period is calculated not measured due to issues with the building management system (the plan was to measure the electrical production, however, it appears some data points have been gathered). Solar cells rated values are taken at 25ºC, but when you have sunlight on a solar cell, i.e., when it’s working, it can be running at a temperature of up to 50ºC. The loss due to temperature is maybe 12 – 15% (I am not clear how accurate this number is). Dust reduces energy production. It’s kind of obvious but unless someone is out there washing it on a regular basis you have some extra, unaccounted losses. Obviously we need to calculate what the output will be. Most locations, and Hong Kong is no exception, have a pretty well-known solar W/m² at the surface. The angle of the solar cells has a very significant impact. This installation was at 22.5º – close to the best angle of 30º to maximize solar absorption. For the 22 kW roof-mounted PV system, facing south with a tilted angle of 22.5, the annual solar radiation received by the PV array is 266,174 kWh using the weather data from 1996 to 2000, and the annual energy output (AC electricity) is 28,154 kWh. The average efficiency of the PV modules on an annual basis is 10.6%, and the rated standard efficiency of the PV modules from manufacturer is 13.3%. The difference can be partly due to the actual higher cell operating temperature. The energy output of the PV system could be significantly affected by the orientations of the PV modules. Therefore, different orientations of PV arrays and the corresponding annual energy output are investigated for a similar size PV system in Hong Kong, as given in Table 3. Obviously, for the same size PV system, the energy output could be totally different if the PV modules are installed with different orientations or inclined angles. If the 22 kW PV system is installed on vertical south-facing facade, the system power output is decreased by 45.1% compared that of the case study. So the energy used will be returned in approximately 7.3 years. Energy in = 206 MWh. Energy out = 28 MWh per year. Let’s say we put that same array on a rooftop in Germany, the poster-child for solar takeup. The annual solar radiation received by the PV array is about 1000 KWh per m², about 60% of the value in HK (note 2). Energy in = 206 MWh. Energy out in Germany = 15.8 MWh per year (13 years payback). Here we get to energy payback at end of year 14. I’m not sure if anyone has done a survey of the angle of solar panels placed on residential rooftops but if the angle is 10º off its optimum value we will see very roughly something towards a 10% loss in efficiency. Add in some losses for dust (pop quiz – how many people have seen residents cleaning their solar panels on the weekend?) What’s the real long term energy efficiency of a typical economical consumer solar inverter? It’s easy to see the energy payback moving around significantly in real life. When considering the GHG production in generating electricity, there is a conventional unit – amount of CO2 equivalent per unit of electricity produced. This is usually grams of CO2 equivalent (note 3) per KWh (a kilowatt hour is 3.6 MJ, i.e., 1000J per second for 3,600 seconds). This is a completely useless unit to quote for solar power. Imagine, if you will, the old school (new school and old school in the US) measurement of car efficiency – miles per gallon. You buy a Ford Taurus in San Diego, California and it gets you 28 miles per gallon. You move to Portland, Maine and now it’s doing 19 miles per gallon. It’s the exact same car. Move back to San Diego and it gets 28 miles per gallon again. You would conclude that the efficiency metric was designed by ..
I’m pretty sure my WiFi router uses just about the same energy per GBit of data regardless of whether I move to Germany, or go and live at the equator. And equally, even though it is probably designed to sit flat, if I put it on its side it will still have the same energy efficiency to within a few percent. (Otherwise energy per GBit would not be a useful efficiency metric). This is not the case with solar panels. With solar panels the metric you want to know is how much energy was consumed in making it and where in the world most of the production took place (especially the silicon process). Once you have that data you can consider where in the world this technology will sit, at what angle, the efficiency of the inverter that is connected and how much dust accumulates on those beautiful looking panels. And from that data you can work out the energy efficiency. And from knowing where in the world it was produced you can work out, very approximately (especially if it was in China) how much GHGs were produced in making your panel. Although I wonder about that last point.. The payback can never be expressed as g CO2e/KWh without stating the final location. And the GHG reduction can never be expressed without stating the manufacturing location and the final location. Now let’s consider that all energy is not created equally. Let’s suppose that instead of the solar panel being produced in an energy efficient country like Switzerland, it’s produced in China. I can find the data on electricity production and on GHG emissions but China also creates massive GHG emissions from things like cement production so I can’t calculate the GHG efficiency of their electricity production. And China statistics have more question marks than some other places in the world. Maybe one of our readers can provide this data? Let’s say a GHG-conscious country is turning off efficient (“efficient” from a conventional fossil-fuel perspective) gas-fired power stations and promoting solar energy into the grid. And the solar panels are produced in China. Now while the energy payback stays the same, the GHG payback might be moving to the 20 year mark or beyond – because 1 KWh “cost” came from coal-fired power stations and 1 KWh return displaced energy from gas-fired power stations. Consider the converse, if we have solar panels made in an (GHG) energy efficient country and shipped to say Arizona (lots of sun) to displace coal-fired power it will be a much better equation. (I have no idea if Arizona gets energy from coal but last time I was there it was very sunny). But if we ship solar panels from China to France to displace nuclear energy, I’m certain we are running a negative GHG balance. Putting solar panels in high latitude countries and not considering the country of origin might look nice – and it certainly moves the GHG emissions off your country’s balance sheet – but it might not be as wonderful as many people believe. How much energy is consumed in producing the necessary parts? This is proprietary data for many companies. Those very large forward-thinking companies that might end up losing business if important lobby groups took exception to their business practices, or if a major government black-listed them, have wonderful transparency. A decade or so ago I was taken on a tour through one of the factories of a major pump company in Sweden. I have to say it was quite an experience. The factory workers volunteer to take the continual stream of overseas visitors on the tour and all seem passionate about many aspects including the environmental credentials of their company – “the creek water that runs through the plant is cleaner at the end than when it comes into the plant”. Now let’s picture a solar PV company which has just built its new factory next to a new coal-fired power station in China. You are the CEO or the marketing manager. An academic researcher calls to get data on the energy efficiency of your manufacturing process. Your data tells you that you consume a lot more power than the datapoints from Siemens and other progressive companies that have been published. Do you return the call? There must be a “supplier selection” bias given the data is proprietary and providing the data will lead to more or less sales depending on the answer. Perhaps I am wrong and the renewables focus of countries serious about reducing GHGs means that manufacturers are only put on the approved list for subsidies and feed-in tariffs when their factory has been thoroughly energy audited by an independent group? In a fairly recent paper, Peng et al (2013) – whose two coauthors appear to be the same authors of this paper we reviewed – noted that mono-silicon (the solar type used in this study) has the highest energy inputs. They review a number of studies that appear to show significantly better energy paybacks. We will probably look at that paper in a subsequent article, but I did notice a couple of interesting points. This is instead a chiefly empirical endeavor, utilizing measured energy use, actual utility bills, production data and complete bill of materials to determine process energy and raw materials requirements. The materials include both direct materials, which are part of the finished product such as silicon, glass and aluminum, and indirect materials, which are used in the process but do not end up in the product such as solvents, argon, or cutting wire, many of which turn out to be significant. All data are based on gross inputs, fully accounting for all yield losses without requiring any yield assumptions. The best available estimates for embodied energy content for these materials are combined with materials use to determine the total embodied and process energy requirements for each major step of the process.. ..Excluded from the analysis are (a) energy embodied in the equipment and the facility itself, (b) energy needed to transport goods to and from the facility, (c) energy used by employees in commuting to work, and (d) decommissioning and disposal or other end-of-life energy requirements. Perhaps Knapp & Jester got much higher results because their data was more complete? Perhaps they got much higher results because their data was wrong. I’m suspicious.. and by the way they didn’t include the cost of building the factory in their calculations. A long time ago I worked in the semiconductor industry and the cost of building new plants was a lot higher than the marginal cost of making wafers and chips. That was measured in $ not kWh so I have no idea on the fixed/marginal kHr cost of making semiconductors for solar PV cells. One other point to consider, the GHG emissions of solar panels all occur at the start. The “recovered” GHG emissions of displaced conventional power are year by year. Solar power is not a free lunch even though it looks like one. There appears to be a lot of focus on the subject so perhaps more definitive data in the near future will enable countries to measure their decarbonizing efforts with some accuracy. If governments giving subsidies for solar power are not getting independent audits of solar PV manufacturers they should be. In case some readers think I’m trying to do a hatchet job on solar, I’m not. Note 1: I have no idea if it would be a lot higher. Many people are convinced that “next generation” battery technology will allow “stand-alone” solar PV. In this future scenario solar PV will not add intermittancy to the grid and will, therefore, be amazing. Whether or not the economics mean this is 5 years away or 50 years away, note to the enthusiasts to check the GHG used in the production of these (future) batteries. Note 2: The paper didn’t explicitly give the solar cell area. I calculated it from a few different numbers they gave and it appears to be 150m², which gives an annual average surface solar radiation of 1770 KWh/m². Consulting a contour map of SE Asia shows that this value might be correct. For the purposes of the comparison it isn’t exactly critical. Note 3: Putting of 1 tonne of methane into the atmosphere causes a different (top of atmosphere) radiation change from 1 tonne of CO2. To make life simpler, given that CO2 is the primary anthropogenic GHG, all GHGs are converted into “equivalent CO2”. on August 4, 2015 at 1:30 am | Reply Mike M.
If it really takes on the order of 10 years for energy payback from solar cells, then that would seem to be a rather questionable technology. It would imply that if we put 10% of our total energy into making solar cells, then our energy production would increase just 1% per year. Slower, once the cells start to reach the end of their useful life. But there is a long history of bogus calculations of this sort, so one has to look very carefully to be sure the calculation is a fair one. Not all kWh are equal. A kWh of electricity is worth a lot more (both economically and thermodynamically) than 3.6 MJ of low temperature heat. How have they done those conversions? In particular, I would not be surprised if a large chunk of the 666 kWh for silicon purification and processing is thermal energy, possibly at low T. If they just took the thermal energy input and divided by 3.6 MJ / kWh, the calculation is not a fair one. I understand that it is electrical heating of furnaces. One of the original sources (cited by many) is Energy Pay-back Time and Life-cycle CO2 Emission of Residential PV Power System with Silicon PV Module, Kato, Murata & Sakuta (1998). We assumed the use of existing production technologies and also the actual condition with regard to Si feedstock production, i.e. that the silicon material was supplied to PV cell production process as ‘o􏰆ff grade silicon’ from semiconductor industries. This assumption reduces the amount of energy, as most current sources note that the growth of the solar PV industry means off grade is not available, and it is all made for the purpose (see my quote from Peng et al below). Because the MG-Si is not produced in Japan at present due to the expensive energy cost, we assumed that it was manufactured abroad using hydro-electric power and imported to Japan. I wonder about assumptions as well. Meanwhile, the authors also pointed out the limitations of the existence of many uncertainties for mono-Si production, in particular the Czochralski process, due to the unavailability of the data from the manufacturers. That is, one of the points I made in the article. The processes mainly include quartz reduction, metallurgical grade silicon (MG-silicon) purification, electronic silicon (EG-silicon) or solar-grade silicon (SoG-silicon) production, mono-Si or multi-Si crystallization, wafer sawing, cell production, and panel or laminate assembly . Firstly, silica sand is put into an arc furnace for reducing so as to obtain impurity MG-silicon, and then the MG-silicon needs to be further purified into EG-silicon by Siemens process or purified into SoG-silicon by modified Siemens process or other processes. The Siemens process takes place in a reactor chamber in which the trichlorosilane (SiHCl3) and hydrogen (H2) gases are heated to 1100– 1200 1C for reaction, while in the modified Siemens process the silane (SiH4) and hydrogen (H2) gases only need to be heated to about 800 1C. Thus, a lot of energy will be saved in the modified Siemens process [20,21]. Due to the fast growth of photovoltaic industry in recent years, the off-grade silicon from electronic industry can’t meet the market demands, thus nowadays a large amount of silicon used in the PV industry is produced specifically with a modified Siemens process. The share of off-grade silicon has been decreasing in PV silicon supply chain, it was estimated that the off-grade silicon accounted for only 5% of total PV supply in 2006 and it would decrease further in future . Does this help answer the question about electrical input? Note that a lot of older work assumes the silicon input is a waste product of other semiconductor processing (which was true 15-20 years ago) and therefore (as far as I can tell) neglects an important energy input to current solar cells. on August 4, 2015 at 1:56 am | Reply Mike M.
Here is a very different set of numbers.The report linked to gives no details of the calculations. Figures don’t lie, but liars do figure. And there could be liars on either side, or both. So I don’t know which is correct, but it seems there is room to argue. I note that with the numbers cited by SOD, at 10 cents per kWh, the energy cost for the cells is $1 per peak watt. Not obviously crazy high, but also not crazy low with the smaller energy figures. That’s not a reference at the moment it’s a claim by a company that produces products for the industry. Find a real reference, or an actual source that Fraunhofer cites, then we can examine assumptions. As I explained in part one, I aim to use the same approach as in the study of climate science. Let’s look for the data and see where it takes us. As a good starting point, let’s accept that any website can stick any graph from any company or organization onto their site and declare the result proven. If it makes them happy, then I can smile with them. I know it’s unpopular. But it’s the question I like to ask and try and answer. Hello SoD, long time lurker here (physicist by training, though not in a related field), I really appreciate the work you are doing here. FYI, the Fraunhofer Institutes are quite reputable public research facilities, attached to neighbouring universities. They do contract work for private companies, but this is (almost?) exclusively R&D. There are a lot of data in there that might be relevant to the topic. From a cursory glance it appears that energy use for the production of solar panels did drastically decrease with time, and that the specific type of panel also has a major influence. Thus you example of ballpark 10 year payback time seems to be a worst case scenario (15 year old mono-Si panel), compared to the state-of-the art claimed to be about 2 years for modern poly-Si panels under “German” insolation conditions (~1000 kWh / m²). on August 4, 2015 at 4:06 pm Mike M.
Well, the source is a report from a Fraunhofer Institute, so that is not just “any company or organization”. Only in that you are actually working through the tough stuff while I am just an interested spectator. I agree. Which is why I was disappointed to find no details or references in the Fraunhofer report. But I did not pursue it further. That is what makes your site so great. My post was only to point out that there are widely different numbers out there, and without knowing why they are different, I don’t know what to believe. I am hoping that you will do the work of sorting that out. Your reply to my first post is a very good start. on August 4, 2015 at 8:19 pm Mike M.
M.J. de Wild-Scholten, “Energy payback time and carbon footprint of commercial photovoltaic systems”, Solar Energy Materials & Solar Cells 119 (2013) 296–305. A 2013 talk by this person is cited in some of the figures in the Fraunhofer slides. At a quick glance, the numbers look similar but not identical. She claims a 1.98 year payback for mono-Si, less for other kinds. I’ve started unpacking assumptions, but it might take some doing. That’s a good paper – Wild-Scholten – with a lot of data. I have started working through it, trying to compare data in similar units..
I’m not certain I’m comparing like with like. But it seems like it. And the numbers are similar. Side note: I see what appears to be a small error in the Wild-Scholten paper, where the data expressed as “PRIMARY ENERGY DEMAND per kWp module, per process step” doesn’t match the “PRIMARY ENERGY DEMAND per m2 module, per process step”. Maybe I don’t understand the steps. I think all of the values should convert at the efficiency but they don’t. Silica is melted, and manufactured into MG-Si and then into EG-Si. Finally, after the Czochralski or other production process, silicon is produced for the solar cell production. Accordingly to the previous researches, the energy required to produce 1 kg MG-Si is 20 kWh [27–29]. The energy to create 1 kg EG-Si is 100 kWh, and there is 90% loss of silicon during this process. The silicon ingot is needed to be sliced into wafer. According to the manufacture data, the required energy, Es, to conduct this slicing process is 120 kWh for 1 m2 solar cells . The solar cells are then tested, packed and interconnected with other components to create PV modules. The required energy, Ef, to produce 1 m2 PV module is 190 kWh . But this is a dataset I have to buy a licence for, so that road is blocked. on August 5, 2015 at 4:20 pm Mike M.
I have bee trying to decipher the table in the de Wild-Scholten paper and have found it frustrating. One has to guess at what things actually mean. So I look for things that I can calculate two ways, and I keep getting different numbers. One issue is how to convert between kWh and MJ. The obvious conversion is the one you use: 1 kWh = 3.6 MJ. But in the middle of page 298 she has a line labeled “electric grid efficiency” that says 11.4 MJ/kWh. So it seems that by “primary energy” she means the MJ of heat needed at the power plant to produce 1 kWh of electricity delivered from the grid. As near as I can tell, the energy she uses to produce the panels is about 1/3 of that in your article, the energy for mounting and other is about 10%, and the energy produced by the cells is about 150%. But until I get the checksums to work, I really don’t know. I just realized that you provided the paper first of all (Energy payback time and carbon footprint of commercial photovoltaic systems, M.J. (Mariska) de Wild-Scholten). Thanks. Although as you can see at the end of the comments, we have important questions about adding up energy. What about the fact that the more solar and other clean energy there is, the more of it can be made using low carbon energy? Run the numbers – you can do it with a spreadsheet. Let me know what you find. This website relies on numbers. “More” is “good”, vaguely – but it doesn’t help work out if we are increasing emissions, reducing emissions or not really doing anything. It doesn’t help us calculate if one solar strategy is misguided and should be abandoned, another is marginal and it probably doesn’t really help, or if a final one is wonderful and world resources should be poured into it. Numbers are the key. Data is the key. But.. 99.99% of what I read demonstrates that I am plain wrong. Numbers are not the key. Belief, dreams and an unshakeable optimism – these are the key. People who suggest “numbers” that oppose beliefs, dreams and unshakeable optimism – they are the enemy. Sorry, just having a bit of a rant, not really directed at you – you just asked a question. I’ve been reading a few website & media outlets on renewable energy.. oh my! Adding up, dividing and.. warning, black magic coming up.. “using the right definition” are clearly the lost arts. Semiconductor fabrication needs reliable power sources. After the March 11th Earthquake and Tsunami, rolling blackouts were conducted in the Tokyo area. One hit a chip plant and ruined the day’s output. Now plant power sources can avoid that, many factories have invested in that in Japan, as can power-storage and quick-reacting gas turbine generators – but not solar on its own. One would have to overcome the bleeding obvious that solar is not actually “clean” to start with. Perhaps some quantum leap will occur in the technology which will make it less environmentally destructive though, as the articles currently posted here demonstrate, that sort of solution is not yet realised. Paul, when you say “less environmentally destructive” what destruction are you referring to? We can see from SoD’s article that PV may not be such a low carbon source of electricity but that doesn’t make it destructive, or no more so than any other industrial product. What destruction do you have in mind? on August 4, 2015 at 4:39 pm | Reply Mike M.
So let’s take a look at that. Suppose that half of the PV output is used to make new cells and half goes to the grid. Assume an energy payback time of 10 years. Then the PV growth rate is 5% per year. So between now and 2030, when Obama wants a 30% reduction in CO2, we could increase the number of cells by a factor of about 2.1. In the U.S., utility solar provides about 0.6% of total generation: https://en.wikipedia.org/wiki/Solar_power_in_the_United_States#Generation_.28PV_and_CSP.29. I have not found good numbers for distributed solar, but so far as I can tell it is comparable. So if we estimate 1.2% at present, and follow the 50-50 scheme above, we will be up to 2.5% in 2030 and will get to 30% somewhere around 2080. A well known solar enthousiast in the Netherlands is monitoring it’s four 15 year old Shell Solar panels from the beginning and cannot find evidence for degradation in the production. However, degradation may have been masked by increased air quality. I reviewed the one datapoint in reference 1. This is a panel (TSG MQ 36/0) with 8.55% in 1976 and 8.2% in 2011. Are you saying that the (claimed) 0.5% per year degradation of current panels producing 13% is not correct because the panel producing 8.6%, manufactured with a different process 40 years ago didn’t degrade as much? My mum had a fridge that lasted 30 years and so current fridges also last 30 years. Data saying current fridges last 15 years are inaccurate. SoD, I’m not arguing with the 0.5%. My references support that (or even lower), I even gave a link saying 0.5%. The comparison with you mum’s fridge is flawed imho, does a new fridge come with a guarantee for 15 years? Do the measures of degradation consider all possible failures (e.g, a worker dropping a wrench on a panel or a corroded connector) or do they just measure the reduction in performance of intact panels? Sorry William, should have made more clear I was referring to solar in its entirety. Obviously the technology requires massive storage in the form of batteries to make it viable. I can not imagine anything more environmentally destructive than masses of batteries piled everywhere. – the way I understood it labor costs for production and installation are mostly not accounted for. People will consume the energy intensity of the economy per $ earned (taking government subsidies like unemployment insurance etc. as the alternative will reduce this again, but the people might as well do something productive). This cost seems to be regularly omitted. – at least for Germany the real intermittency problem (though expensive enough) is not smoothing over 24h or a week but over the year. You will have to operate a storage scheme similar to the one currently used for natural gas. My 6 year old Sunpower E18 panels have a power coefficient of -0.38%/K, so when they heat to 50ºC they produce 9.5% less energy then @ 25ºC. This is pretty good for mono silicon cells, most mono’s are in the low -0.4’s. CIGS panels like those from Solar Frontier (e.g. SF170) have a better power coefficient: -0.31. Is that off the datasheet or from your measurement? If it’s your measurement, do you have a thermocouple on the solar cell? Or, do you measure power output and, even at peak power, you get 9.5% less energy than the rated power at 25ºC. The power as reported by my inverter is noticeably lower on hot and windless days then on cold and/or windy days. If you’re interested I can give you a year worth of data (logged every 1 minute). Unfortunately the inverter is underdimensioned, meaning that on really good days it’s maxed-out and the produced AC power is not representative for DC power available from the panels. What? You’ve never heard of rain? 😛 Seriously, I clean my panels once per two years (if I don’t forget). The result is not noticeable from the production data. Day to day weather changes are simply too big. However I remember reading that dust-buildup can reduce production by ~1%. No, I’ve never heard of rain. And I’ve never heard of year on year solar surface irradiance varying by more than 0.1%. “not noticeable from the production data”. Seriously, you should write papers on the subject. I’ve looked up the numbers sunshine hours in the Netherlands for the last 10 years from KNMI. Lowest is 1610, highest is 1838, that’s a 14% difference in sunshine hours. So you are right, without calibrated accurate instruments I won’t be able to get a dust-signal from my production data. Which was my point: dust is a small factor in yearly production variance. Especially if you have regular rains to clean the panels like in Western-Europe, perhaps it’s different in the south US. That would be Southwestern US for arid and dusty conditions. Southeastern US has a rather different climate. Have you ever heard of snow? Ha ha. This form of “dust” reduces the output of a solar panel by a huge amount. How many people are going to climb up on their icy roofs to sweep the panels? I suppose panels can be heated to prevent this, but the energy trade off here is non-obvious. I would be interested to know how they solve this problem. The panels quickly heat up when the sun starts to shine after a snowstorm and a few hours later the snow just slides off when the bottom snow layer is lubricated enough with meltwater. Like the icecap on Greenland. No problem solving and no climbing needed. Unless your panels are mounted flat or you’re eager to produce a few kWh more and willing to risk your life for that. Perhaps Knapp & Jester 2001 got much higher results because their data was more complete? Perhaps they got much higher results because their data was wrong. I’m suspicious.. I wonder how valid 15 year old data is, seeing how the technology has improved. 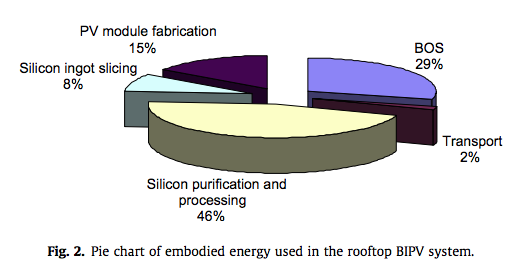 Current cells use less silicon then those pre-~2006 (when there was limited silicon wafer production capacity), and if you halve the amount of silicon then you reduce energy input by about 25% (based upon the pie-chart above). E.g. current commercial SunPower cells are 135 um thick where industry average is 190 um, some lab cells are already at 99 um. Some think that thin-film cells will become the biggest market due to recent increases in efficiency and reduced cost compared to conventional silicon. That would reduce EPBT greatly. CIGS panels are already hugely popular here due to their lower negative power coefficient, ‘light soaking effect’ (higher efficiency under diffuse sunlight conditions), aesthetics (all black, no cells visible) and competitive pricing. In the previous thread I gave a link to a comprehensive thin film LCA study. Some factories use PV and windpower to offset their power consumption, to further complicating the picture regarding to emissions per kWh. Luckily China itself has set very high targets on domestic PV installation (~18 GW for this year). Assuming that most panels come from China, any reduction in carbon intensity when using more hydro, pv, wind and nuclear will ripple all over the world as PV-sales skyrocket. Again indicating that the combinaiton of increasing sunlight conversion efficency per m2 and reducing the amount of silicon per m2 and more efficient production methods have significantly reduced the EPBT compared to study results based on 15 year old technology. Lu & Yang is 2010. Wild-Scholten is 2013. They get approximately the same value for energy consumed in making mono-Si. They calculate the energy payback for the same solar insolation and get a factor of 3 difference. There is a calculation problem, not a wonderful change in energy payback of solar PV cells. Anyway, there is indeed a big spread in LCA results resulting from different methodologies, system boundaries, local conditions and other choices. To properly compare studies one has to harmonize them just like you would with temperature datasets that use different baselines, I guess that your are already attempting that. You are asking all the right questions; how accurate the available data to answer those questions is doubtful…. as you can see from the prevalence of anecdotal ‘evidence’ and limited hard evidence. You will face a lot of resistance from those planning on a solar powered future if your analysis says it takes half the lifetime of a solar panel to recover the energy invested in manufacture and installation. Of course, adding batteries would make the energy payback much longer, and perhaps the system would never pay for itself in energy terms. I think it is instructive to think about the cost to manufacture almost anything being closely linked to the energy required, no matter the product: steel, aluminum, glass, copper, silicon, the polymer that insulates wires, etc. all have a very large energy content, as does the plant and equipment where things are manufactured. Even the labor which goes into manufacturing things represents energy the workers expend living their lives and in the things they buy. So answering a simple question: “Does the solar panel system pay for itself without subsidies, tax credits, and forced back-feed credits?” is probably a reasonably accurate way to figure out if there is a solid net energy “payout”. The answer will depend on location, of course, but I would be very surprised if an unsubsidized system would be economically attractive, so I would be very surprised if an unsubsidized system would have a reasonable energy payback. I was looking at systems from SPS. A 3kW system consisting of 12 1.67m² panels, a Sunny Boy inverter and miscellaneous hardware goes for $6,100 not including S&H, taxes and installation cost. If insolation averages 5kWh/m²/day for the year, not completely unreasonable at my latitude, 36.5N, then I save about $315/year on my electric bill and the payback time just for the hardware is over 19 years at constant efficiency. I picked that size because it’s unlikely I will generate more power than I can use at the time, so no forced back-feed credits. The rule of thumb, as I remember, is that if the payback time is twenty years, it’s not worth doing. That’s about a 3.5% ROI. That wouldn’t be bad right now, but I don’t expect low interest rates to last forever. The long axis of my house is almost perfectly EW, so my roof is nearly ideal. I had a thought about sizing battery capacity for solar power. I suspect it’s more about how fast it can accept a charge without damage rather than simply kWh of storage capacity. I used the wrong area. I would save $525/year and the hardware payback time would be 12 years. That’s a little more reasonable, at least in terms of dollar cost. I don’t think my wife would go for 20m² of black solar panels on the roof, though. If you factor in installation cost (a SWAG is about 50% of the hardware, but could be more), then that 3 KW system doesn’t look so good. I also doubt your personal demand would be always above the output on a sunny day. So without feed-back to the grid, or a battery to accept the excess, some of your power would be wasted. 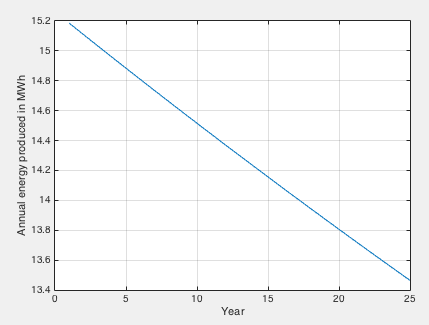 The unsubsidized payback is very likely to be well over 20 years, with battery or without. Of course, with tax subsidies on the purchase cot, forced grid buy-back, and no battery, the payout could be as little as 5-8 years, but that doesn’t address the question SoD is asking. Based on an assumption that the cost of most things is closely related to the energy that goes into producing them (directly and indirectly) a >20 year payout indicates the ‘energy invested’ in producing and installing your 3 KW system is a substantial fraction of the net energy the system will generate. I also doubt your personal demand would be always above the output on a sunny day. Maybe not always, but most of the time. I used ~75kWh/day last month. This is TVA land, everything’s electric and I’ve got a lot of electronics. If I wanted gas, I’d have to put a propane tank in the yard. That’s in spite of the fact that there’s a very large LNG storage facility for a major gas pipeline practically within sight of my house. The house used to be heated by resistive panels in the ceiling. Which doesn’t make a whole lot of sense if you think about it, other than being really cheap to install. Maybe not always, but most of the time. I used ~75kWh/day last month. Here we are, SoD and the commenters trying to make sense of the complex cost calculations of PV and wonder if the payback is 7 years or two. While for quite a few countries the solution is clear: use a lot less energy first. use a lot less energy first. Not going to happen. My house is well insulated. I even have low-e windows. But I’m not going to turn the AC off, cook on a wood fired stove and throw out my home entertainment system and computers. I suspect my energy use may even be below the local median. It’s uncomfortably hot and humid here in the summer and fairly cold in the winter. As I said, gas is not an option for me and that would only shift the energy source, not change the total much. Al Gore’s California mansion alone uses nearly ten times as much energy as my house. When the Grand Poobah of other people reducing their energy use start walking the walk instead of just talking for lots and lots of money, then I might think about reducing my energy use, but not very hard. Speaking of Gore, I know someone who used to work with him. Calling him as dumb as a bucket of rocks is an insult the the bucket or rocks. Did I tell you about my car? It’s a 400+ hp (300+kW) 5L V8. Someone I know said he was making a statement by owning a Prius. I am too. My grandmother, who survived the great San Francisco earthquake, lived in a row house in San Francisco with no central heat, an icebox and a wood stove. I doubt many people that have lived that way and have a choice want to do it again. I question the sanity of anyone who does do it by choice. Which brings up another question: Can you get hail insurance for solar panels, and how much does that add to the cost? My home insurance recently paid for a new roof because of hail damage. Usually there is some ballpark number for well-sited pv-systems in your area. E.g. official government number for the Netherlands is 850 kWh/kWp, but my system has consistently produced more then 1000 kWh/kWp since 2009. You could also lookup a few systems in your area on production monitoring portals like PVOutput.org to get a feel for what’s possible. If you’re comfortable working on (high voltage) electrical installations then you could look for a salvaged battery from an EV, e.g. a Nissan Leaf and give it a second life. Dare I say it: should work out great for energy payback. Otherwise I think batteries are not yet economical unless your power tariff is very high or your utility does not pay for your excess kWh’s or when you’re not allowed to send power back to the grid. Look for alternative advantages. E.g. PV on the roof provides shade and so reduces warming of the house (or cooling needs) in warm climates. If you experience regular blackouts then PV with batteries and an islanding-inverter (e.g. Outback or SMA Sunny Island) can help you ride through, possibly avoiding using a noisy, smelly generator. I don’t know about insurance, but in April of this year I had golf ball size hail (Florida). Concern is warranted. I’ve seen some commentators are pointing to much lower payback time for modern solar panels. Unfortunately from some point this doesn’t matter much because the costs for the complementary infrastructure related to intermittency doesn’t go down as fast and actually increases with the share of solar. As far as I remember Pedro Prieto ( http://energyskeptic.com/category/expert-biophysical/pedro-prieto/ ) said somewhere panels are currently about one third of the total. Even if they are free this would reduce costs only by about one third. Intermittency costs on the other hand would only go up. (I believe cost are a not so bad estimator of energy input (e.g. “Embodied Energy and Economic Valuation, Robert Costanza, SCIENCE, VOL. 210, 12 DECEMBER 1980). Of particular interest are the estimates from 1.65 to 4.12 years for mono silicon, putting your source at the high end of the range. factories of the future”, a potential realizable, the authors claim, based on refinements of an existing technology. While that potential may not be realized, and for economic reasons, may not even be pursued, that it exists clearly shows that analyses such as yours above tell us nothing about the potential of solar energy. At best they advise us on the practicality of solar systems implemented now. The paper is behind a paywall, so I cannot comment on the basis of the analysis, but I presume the authors also know how to use numbers; and wonder why your chosen sources estimate is three times their high estimate. SOD, you misses two major points on the cost problem with solar panels. The first is the issue of dispatchibility. Since solar is not available on demand, but occurs day time and non cloudy days only, the back up dispatch capability of the grid system has to be irregular and this adds considerably to cost of the grid system operators. In fact, once the solar or wind tied to the grid is more than a few percent of the use, the actual total system cost becomes larger than for no solar or wind. The second issue is about who covers the increased grid cost due to decrease in income paid by solar users and the added backup (and thus lower efficiency generation cost). The solar users have a reduced cost after recovery of capitol cost, but the non solar users have an increase as stated above if more than a very small percent of the total system is solar powered. If enough solar users are present, the power company would have to even increase cost of power to solar users, and not give as much credit for power input from the solar users (it would not be needed). Adding to my prior comment, here is a 2009 paper tracking EPBT for grid connected photovoltaics for a variety of mounting options for latitude bands from 30 to 44.75 degrees. For fixed panels, at 44.75 degrees the median EPBT is approx 4.1 years, with the 75th and 95th percentiles both being less than 4.5 years. “If we assume a model [model is for communications purposes, not factual] where the solar panel had a factory, efficiency measurement of 20% and a 6% transmission line loss to the grid; do we have to include an 84% cost of traditional “fossil back-up” power. Also, when the solar power panels are active, the fossil power plants drop down to a less efficient mode. This may contribute to more pollution. Models are hard. However, as I wrote at the top: it needs to be done. I see lots of interesting comments here since I last checked, and will respond on some points if I have anything to add. As I said in the article itself there are lots of different numbers out there and Peng et al 2013 seem to get lower numbers, plus mono- has the highest energy input..
That said, one of my other comments is also important – all of the data giving a payback in years is meaningless unless it comes with a “location guide”. In fact, this is why energy input is the actual number we want for a given type of solar panel – then we can easily see whether the difference is energy input between different papers, not difference in installation location, installation angle, was efficiency at 25’C assumed, inverter efficiency assumed, etc. I realize that some of this is in papers behind paywalls and most of my readers can only see the abstract, so I will dig into as many papers as I can. As I’ve commented a few times before, this is a travesty – any papers relating to any aspect of climate science, and this obviously includes renewable energy, should be free to anyone who wants to read them. Among many other things it requires (modeled/reported) production site specific power use to be reported. It is clear that the various publications about energy payback/CO2 emissions vary wildly, as you’ve already concluded in your article and also from the comments. The paper linked below evaluated 109 different studies and harmonizes the results of 5 most rigorous/complete studies of thin film PV. Some lunches appear to be cheaper then others and perhaps one conclusion should be that consumers and policies should focus more on thin film than on mono-/poly Si who currently have the largest market share. SOD, you may also want to look at the energy ratios for other sources of energy than solar. In particular, this paper calculates the Energy Payback Ratio (EPR), (not strictly comparable to EPBT) for coal, with an assumed life of 40 years the EPR is 11 years. That compares to low and high estimates of solar of 3 and 6 respectively in this paper. However, the later gives low and high values for conventional coal of 2.5 and 5.1, and for coal gassification combined cycle of 3.5 and 7, and 2.5 to 5 for natural gas. Finally, this paper gives an EPR of 7.2 for solar. The upshot of these figures is that when a directly a comparable measure is used, solar is not obviously outclassed by conventional (fossil fuel) power sources, something obscured by the focus on EPBT of solar (for which comparable figures are not readily available for other means of generating power, and which is not obviously the best measure for solar). Solar and wind don’t replace conventional power plants one for one. A proper economic analysis would start with a clean sheet and compare the cost and emissions to supply a given quantity of power to the grid 24/7 with 95+% reliability of a conventional system and systems containing various fractions of solar and wind. Conventional is going to win that hands down. While that would certainly be nice, it begs the question as to who will then pay for publication. It would be nice if those who commonly express this desire would write to their relevant politicians requesting additional scientific funding to pay for such a measure; and blog against those politicians when they fail to deliver (or as is more commonly the case currently, cut scientific funding on climate research). “..write to their relevant politicians..” – Really?? I don’t know where to start. Hold on, I do. “How many votes in this one?” “3”. “Oh, what about immigration?”.. “18 million”. The IPCC report costs a huge amount to produce and is free. That’s a good thing. I don’t know the proportion of papers referenced in the latest IPCC report (WGI) that are free via google scholar but I’m guessing around 50%. Therefore, it’s not possible to verify any particular line of enquiry in the IPCC report without academic access or a ridiculously large pile of spare cash. And so the average educated person with an interest in the subject can’t verify anything. They can take it on faith, though. It’s a travesty. Most travesties are not going to be solved by writing to a politician. And this one is not going to get any traction. It’s not important to 99.999% of any electorate. And even if it was, it doesn’t qualify as a “wedge issue” for key demographics. I was just putting forward a position, not advocating action. Perhaps the IPCC can take it on as a mission. I wouldn’t bother writing to a politician about anything. It’s not how the circus works. So your position it that it is absurd to expect governments to pay for open access publication; so we should expect them to pay for it indirectly through the IPCC? Really? I don’t think you understood what I wrote. But it’s not important. Let’s leave it and focus on the details of renewable energy. Universities exist to educate people. To further that goal, some elite institutions began to require their faculty to post free pdf versions of their manuscripts somewhere on the internet, where they can be cataloged by Google Scholar. Since the first universities to do so were elite institutions, the journals were forced to makes exceptions for their authors. Some government funded institutions (NOAA?, Hadley Center?) also have such requirements. Most of the articles you can access via Goggle Scholar today are available for this reason. Publishers convert those manuscripts to expensive paper journal articles that are read (on paper) by fewer people every year. Is the value added by publishers worth what they charge? The cost of those journals is also a major problem for universities. So universities may be the best hope for promoting more free access. SOD: If I remember correctly, the US originally subsidized a biofuels industry in order to reduce CO2 emissions. Even though we now have a mature industry that produces about 10% of our gasoline, it is still being supported by mandatory blending requirements and subsidies. However, a full life cycle analysis shows that biofuels emit about 93% as much CO2 as gasoline from petroleum. That information wasn’t widely publicized until tight supplies of corn began to drive up food prices. Burning corn in my gas tank turned out to be a great way to protect less affluent people from the dangers of climate change. If I understand your post correctly, the developed world is now subsidizing use of expensive solar panels mostly made in China mostly using cheap coal for power. This reduces their emission of CO2 on paper and raises their cost of electricity, but may not reduce global emission of CO2. I will be reading your future posts with interest (and hopefully less cynicism). As for the comment on the first posting on zero Carbon energy, resisting the term renewables for reasons cited elsewhere, I’m putting selections from that here. I always intended to comment here but ran into difficulties. Again, I apologize for inconvenience of two places for the same material. Just the material in one kilometer of natural gas pipeline has an embodied energy of over 200,000 kWh. That’s assuming 15 MJ/kg for embodied energy of pipeline steel, 10 mm of pipe wall thickness, and 20 cm pipeline outside diameter, using this chart (and converting to metric). The embodied energy of such steel is a little over 4 kWh/kg. And the pipe mass is about 48 kg per meter run. That’s pretty typical, and does not include energy for molding the pipe, for installing it, and so on. And that’s just a kilometer. I have not done the full calculation myself, but a common aphorism heard from materials recycling people is that the embodied energy in a single (non-Fosters) beer can can power a standard television for a couple of hours. So I’m not surprised on the embodied energy of a solar PV array. Second, we are negotiating with a couple of major solar installers for our home right now, deciding to go local with zero Carbon rather than do as we are doing now, getting over 100% of our electricity through the utility company from New England Wind. Neither of that want you to ever touch the panels in any way once installed. Even if they are purchased, nicks on the panels will void the warranty. My understanding from them is that they pretty much wash off in the rain, and snow melts and sloughs off, since the panels are pretty warm when they operate. Third, I have heard from a good friend who is a mechanical engineer and expert on solar (he built a house from scratch to be ultra energy efficient, one that’s powered and heated by a compination of solar PV and solar thermal) that some level of technology of solar cells are such that if a panel is shaded more than some threshold per cent, the entire panel stops generating. This is part of the motivation for integrating micro-inverters in the panels. Fourth, there are various kinds of usage efficiencies that affect how much solar PV is installed. Consider our case. We have a lot of trees about the house and are adjacent to wetlands. Trees provide excellent wind shading, especially in winter, we are fond of the local ecosystem of which the trees are a key part, and regulations limit tree cutting near wetlands. We are planning to trim some of the trees, improving insolation, but shading will be an issue, especially during winter low sun. (We live near Boston.) If we go with a Power Purchase Agreement (PPA), the installing company carries the full capital cost of installation, so it’s all savings to us. However, since they get paid per kWh generated, they want efficiency on their invested dollars, and tend, therefore, to only place panels where they are efficiently used. Unfortunately, that means less of our total house energy is covered by the solar production, even at the best of times. From our perspective, putting up more panels that are less efficiently used might well be a good idea, since the whole point of this for us is to get as much of our electricity requirements off the grid as we can. (When batteries for storage become available, we’ll get those, too.) Why? Because network or transmission costs of the grid are appreciable. Indeed, the reason why zero Carbon energy is such a threat to the conventional model is that, if it is generated local to where it is consumed, and stored there, it’s possible to produce power for a home at less than what it costs the utility to transmit the power to the home, even including financing. It’s entirely plausible that utilities will try to make life difficult for zero Carbon residential power, especially power produced and consumed locally. It’s also a thoroughly politically conservative value to try to be self-sufficient, and I see the expansion of locally produced, locally consumed energy, especially solar, as being a point of great common cause for progressive and conservative environmentalists, and that is really heartening. The losers, of course, will be the public utilities and their suppliers. Finally, the notion that solar PV is only for the rich is the reason why the state of California and the Obama administration have proposed providing very low interest loans to permit low income families to install solar. Why not? At present, the federal taxpayer provides insurance of last resort for the entire nuclear power industry, provides subsidized flood insurance for wealthy residences on seacoasts, often in places where they simply oughtn’t build, and their local taxpayers and towns cover the coasts of restoring washed-out roads to assure emergency access, and restoration of septic lines, power lines, and lighting. on August 5, 2015 at 5:07 pm | Reply Mike M.
Took a ten minute walk, looked again at the table in the de Wild-Scholten paper and spotted my mistake. I now have some numbers, all based on the first column. She calculate that her system makes 189 kWh/yr/m^2. I got this from page 298 “Annual electricity generation” of 1275 kWh/kWp/yr and 148 Wp/m^2 from page 297, main heading “modules”, line “module power/area”. It seems that Wp is peak power: 1000 W/m^2 max insolation times the efficiency of 14.8%. This about 10% larger than the Hong Kong system you describe (171 kWh/yr/m^2) even though it seems to be for a northern Europe location. Part of the difference is higher assumed efficiency (14.8% ideal and realized vs. 13.3% ideal, 10.6% realized) and part seems to be an optimistic assumption about weather (75% of maximum possible sunlight). These match the energy payback time numbers on page 299, except that the latter include a contribution for the inverter, bringing the total to 1.96 year. I will take some time to think before I comment on the relative believability of the numbers. on August 5, 2015 at 5:12 pm | Reply Mike M.
Second try at formatting the table. I would say that 75% of maximum sun hours goes beyond unrealistic to fantasy. I was looking at a graph of sun hours per month for Berlin, Germany. The solar insolation calculator says that a the latitude of Berlin in May, there’s about 15 hours per day when the sun is above the horizon. That would be 465 hours/month of sun. 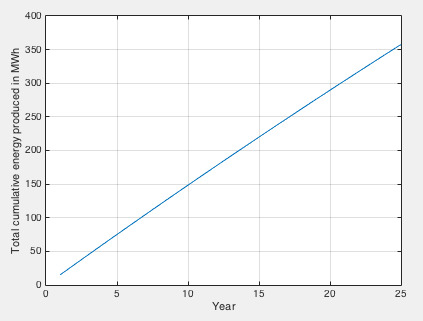 The graph looks more like 225 hours, or less than 50%. on August 5, 2015 at 7:52 pm Mike M.
Well, de Wild-Scholten seems to have 1275 kWh/m^2/yr for “Belgium, France” while SoD gives 1000 kWh/m^2/yr for Berlin. That does not sound like an implausible difference, especially if the de Wild-Scholten value is some sort of average that includes parts of France that are much sunnier than Berlin. I may have misinterpreted the meaning of the factor of 0.75 in the paper. And you may be misinterpreting the meaning of “sunshine” – that likely means “strong sunshine”; there can be quite a bit of sun even when the direct beam does not meet the cutoff to be considered strong. I think the meaning of 0.75 is the combined efficiency from the solar cell and inverter vs assuming “nameplate solar efficiency” and no losses. Actual power delivered to the house or grid = kWHr for solar for the year (irradiance at the surface) x “published 25’C efficiency” (14.8%) x 0.75. If you assume something like 15% loss due to the solar cell not being at 25’C and 10% losses for the inverter you get the 0.75 (roughly). 1. KWh/year = total energy at the surface summed across the year, based on meteorological data. So, for example, 1700 KWh/year (S. Europe). There are 8640 hours in a year so what is the hour by hour average? = 1700 / 8640 kW/m2 = 1700 / 8.640 W/m2 = 197 W/m2 average hour by hour insolation at the surface. This is across day and night so is the right kind of number. 2. KWp is a solar industry convention and very strange. I explain in detail and give worked examples just to help anyone else trying to check numbers.. I have found no official definition but it appears to be “Rated peak power”. This term is also misleading because it is actually the measure of power output when you put solar irradiation of 1000 W/m2 onto the solar cell. Basically it is the efficiency number (at rated 25’C which the solar cell almost never is, in direct sunlight). So, using the example in the Lu & Yang paper, each module of the solar panel has a “rated peak power” of 175 Wp. The area of the module is 1.31m2. The efficiency at 25’C is 13.3%. So the value, Wp = area x rated efficiency at 25’C x 1000 W/m2. This number is calculated from 1700 kWh/year (total surface irradiation) x 0.75 (“derating” efficiency & inverter losses, as noted in comment above, at 8:38 pm). So your year only has 360 days? Over a year, the length of a day averages out to very close to twelve hours, so instead of 8766 (24*365.25), 4380 would be a better number. So 1700/4380 is 0.388kW/m². For Nice, France (44N), the insolation calculator says the total available power to a module with a tilt of 44° is 2894kWh/m²/year. So 1700 would be 58%. OTOH, this source says Nice has 2724 hours of sunshine/year, which would be 62%, but not all of it is strong, only 147 of the 211 sunny days are strong. Paris only has 51 days of strong sun. You got me! I just checked on wikipedia, there are 365 days in the year, who knew? That hours per year number was in my head and I never checked it. You are correct. For the total insolation values per year, I found a few websites that publish contour maps and used them. The sanity check said it was probably ok, even though I was a bit light on with hours per year. Hey, we all take a few hours off here and there..
A while back I did create a Matlab program that calculates insolation by hour by day of the year by latitude – and would like to dust it off to verify some values, like dependence of tilt on the energy (but that assumes knowing how the solar cells respond to angle). Right now the major questions don’t revolve around the exact number. on August 6, 2015 at 2:47 pm Mike M.
So the 1700 kWh/m^2/yr value in the de Wild-Scholten paper falls in the high irradiation group and the 1275 kWh/m^2/yr value falls in the medium group. She doesn’t seem to say anything clear about location beyond “The roof-top balance-of-system amounts of a PV system with crystalline silicon modules on a typical Dutch house”; surely that does not imply more than medium irradiation?. It does seem that the “performance ratio” of 0.75 is as you have concluded, not my guess. So the de Wild-Scholten results would seem to be for a favorable site. Well spotted. This is surely a groundbreaking paper and should be more widely circulated in the renewables industry. To be able to compare the LCA results, the electricity mix to produce solar grade poly-silicon is taken to be hydropower, whereas for the ingots, wafers, cells and modules UCTE electricity mix is assumed. The efficiency of the UCTE electricity grid is 11.4 MJ/kWh (ecoinvent 2.2). In old money, 1 kWh is 1000 Joules per second, for 1 hour. 1 hour, again using old money, is 3600 seconds. So 1 kWh = 3,600,000 Joules = 3.6 MJ (still working on old money). In new money, we can put 1 kWh into a grid and produce 11.4 MJ, or basically 3x the energy input. I’m euphoric. Why produce solar cells with this technology? Just tap off the spare energy, feed the output back into the input, repeat, and you have as much free energy as the world ever needs. Obviously I have misunderstood something very fundamental. I will contact the author and ask for clarification. I suspect that the energy mix assumed has some “free energy” (hydro and others). Or maybe reason has just deserted me today. Let’s see. Maybe the 11.4 MJ is the thermal input to generate 1KW of electricity on the European grid system. Now I have consulted more papers you are correct. The missing factor of 3 is “explained”. Watch this space. However, if you can see a reason why electricity consumed should not be compared with electricity generated for payback calculations I will be fascinated. I am starting to doubt my connection to reality at this point, so kind explanations will be much appreciated if I have lost my marbles. on August 6, 2015 at 3:30 am Mike M.
I have the same problem. I’m guessing it is for the greenhouse gas calculation. The greenhouse gases are more directly connected to the “primary power” although you don’t have to go that route to do the calculation. It seems that some papers reference data back to “primary energy” and others reference data to “electrical energy” but it’s not at all clear which papers have made the incorrect assumptions. There is definitely a problem. Some papers are wrong. Of course electricity consumed should be compared to electricity used to manufacture and install a system. More than that, all energy related input should be considered: transportation fuel, the “energy content” of the production plant and equipment, transportation equipment, and transportation infrastructure, pro rated over their lifetimes where suitable. Of course, if you employ someone (in China or elsewhere) in the manufacture of solar equipment, then that person will use energy when they buy things with the money they earn, and it seems to me that should be included in the calculation of the energy cost of solar panels. Just about everything done in the production of anything is intimately tied to energy use; there are no simple accounting methods, and no simple way to draw a fence-line around production to identify its total energy investment. I mean, how do you account for the energy content of the concrete and steel used to build a factory? Or the energy used in building the ship which carries a container of solar panels from Shanghai to Antwerp? Or the construction of the truck that transports the panels from the port to a distributor’s warehouse. What I was trying to say above is that the unsubsidized production cost is probably a reasonable (not perfect) proxy for the multitude of energy inputs for virtually anything that is manufactured and used, and that there is a very good chance an economic analysis based on un-subsidized costs (does the investment make any sense economically) will also tell you if there is a reasonable energy payback. By the way, I had an interesting conversation last night with a nephew who runs a research group on photovoltaic materials at NREL in Colorado. He said that the production of low cost panels in China is heavily subsidized by the Chinese government, and that at some point in the next several years the Chinese government will pull the plug on those subsidies…. which could cause a sudden price jump for panels. So even the current price for panels may not be a fair proxy for the energy invested in their production. on August 6, 2015 at 3:00 pm Mike M.
“It seems that some papers reference data back to “primary energy” and others reference data to “electrical energy” but it’s not at all clear which papers have made the incorrect assumptions. It really does not matter if they use electrical energy or primary energy as long as they are consistent. So the question is whether the different results are due to real differences (say, the Siemens process vs. the older one) or due to doing conversions wrong. Nawaz & Tiwari (2006) get the same answers as Lu & Yang (when you divide the 206 kWh by 150m2 you get 1,373 kWh/m2). The Wall Street Journal recently had an article about long term leasing rather than purchasing solar panels. Needless to say, there is some question about whether this is a good deal for the lessee. All the tax credits go to the lessor, for example. True. But in the end, does leasing solar panels reduce total costs for the lessee compared to purchasing them using borrowed money. That’s not at all clear. on August 7, 2015 at 12:50 am | Reply Mike M.
I have been looking into Peng et al. (2013) to see if I can figure out what their units mean. I think I know what they did; whether they did it right I can’t say. The short version is that their input energy is the energy that goes into making the electricity used, not the electrical energy. In Table 1 “Energy breakdown for manufacturing mono-Si PV module” the units are in MJ_p/m^2 and the numbers are similar to or larger than yours using a conversion of 1 kWh = 3.6 MJ. But that does not appear to be the conversion factor they used. On the preceding page, footnotes 2 and 3 distinguish between “one kilowatts hour thermal energy” and “one kilowatts hour electrical energy”. Two pages later, footnote 4 says “MJp means one million joules primary energy”. On the next page, they list the factors that go into the energy payback time calculation. Included is “v. Electricity generation efficiency: the average electricity generation efficiency (viz. the conversion efficiency from thermal energy to electricity)”. Values range from 0.29 to 0.33.
conversion factor = (Total energy) / (irradiation*efficiency*PerfRatio*EPBT). The results range from 9.2 to 11.7 MJ/kWh for the 5 cases that are unambiguously in both tables (2 & 6 in Table 5; 2, 7, & 10 in Table 6). So if they did things correctly, it looks like the actual payback times are about 1/3 the values in your article. I’ve not lost interest. But I did spend so long trying to figure out all the papers, converting between different methods and trying to reconcile them that I found my ability to make sense of the numbers was disappearing. I looked further back at other source papers as well. I have emailed the corresponding author of the Peng paper asking for confirmation. I also found another paper which specifically states that “some papers get it wrong”. I would very much like to get to the bottom of it. It’s bizarre that there are two sets of papers, one with a completely wrong calculation of energy payback for solar cells. It’s elementary to compare like with like. on August 7, 2015 at 3:01 pm Mike M.
At this point I am fairly sure that the long energy payback times (~5 years or more for favorable locations, ~10 years or more for unfavorable ones) are wrong. And it really does not matter much if the payback time is one year or three. So I have filed this under “not an issue” until such time as someone can provide me with convincing numbers to the contrary. The real question is return on investment of money ignoring the tax credits, subsidies and artificially high power buyback that robs Peter to pay Paul. I’m not seeing that it’s favorable. At the bottom of 117 comments I suppose I can write whatever I want sure that no one will ever read it. But this whole subject needles me a bit. The calculation of the CO2 emission of a solar panel is so complex, and the landscape is changing so fast, that every time I read one of these papers, I am always left with the take home message “don’t bother trying”. I’ll propose a tongue in cheek method at the end of this rant. But first a couple of thoughts. I was head of process integration at Transform Solar ’10-’11. We were a victim of the “solar shake out”, or if you like, of our own stupidity. We were building mono-crystaline cells only 20um thick (yes, that is not an error). You can see what we were doing here, http://www.roadiesolar.com, which is my hobby company. when we shut down I kept a bunch of cells, and have been playing around turning them into modules. Take a look. It gives some idea of what is possible for the future of solar cells and modules. You can quibble with the cost and argue that TS went under, so all the technology on display at RoadieSolar is bunk, and you would be 99% right. At Transform I sat next to the guy who did the future projections for our cost models. We were building at 10-100$ per watt depending on the yields coming out of the factory at a time when the industry was quickly dropping costs below $1 per watt. But no problem, we would be at $0.25 per watt in no time through the magic of economies of scale. Well, that didn’t work out did it. But, having said that, what we were doing wasn’t *that* crazy. We used industry standard processes (mostly). Our cells were not made of unobtanium, etc… So, don’t discount the possibility that technology can improve a lot. As one of the readers mentioned, a good stand in for Co2 emissions is $1 per watt. How else do we include the cost of the guy who mops the floor in the executive lounge? And the best way to get those numbers is the SEC filings. At TS we were burning (roughly) 1million/week. If we output 3MW (nameplate) per year, we can do the math to understand our true $/watt. Which brings me to my real point. One of your readers asks, what happens to these calculations as more of the energy used to make the solar panels comes from renewables. It’s complicated, but note that currently, much of the energy comes from Hydro. Yes, the companies pumping out the polysilicon were smart enough to locate their plants near cheep hydro. So can we subtract this from the CO2 figures? This all seems nuts, doesn’t it. Well, what about this. Take a look at real global GDP. Lets say its’ 100T$US and the Cost of Goods Sold of all the PV manufactures/installers in the world is .1T$US. Let’s say we emit 1GT CO2 per year. Then isn’t it reasonable to say that the CO2 output of a PV module is 1GT CO2 * .1%? There is uncertainty in GDP and there is uncertainty in GGE globally. But, it may be a better way of looking at the problem. It also gives you some idea, if we were to temporarily increase the percent of global GDP spent on solar panels to say 5% of GDP (ah, now that sounds like real money for an ex-solar engineer), of the impact on the environment. It’s a crazy way to think about it, but with some refinements, I think it makes a lot more sense than trying to add up the kWh that go into arc furnaces that are wired to dams on the columbia river basin. That last idea about CO2 input dovetails nicely with the work of the former ERG, e.g. and a paper by Constanza I mentioned earlier. on September 26, 2015 at 2:59 pm | Reply Mike M.
In principle, price signals should obviate any concern about energy payback times. In an ideal market, if the energy used to manufacture cells is not small compared to the energy produce by the cells, then they can not possibly pay for themselves. But when you start to subsidize things, both directly and indirectly, the theoretical possibility of negative net energy arises. I am inclined to regard such arguments as red herrings based on sloppy calculations, but once they are raised the only real way to counter them is with a proper calculation. Now, thanks to SoD, if someone makes the claim that solar cells take more energy to make than they produce, I know where to send them to see that it ain’t so. thanks for writing back. Great to have someone to talk to about this stuff. wrt to MM commment : Contrariwise! If you think about the calculation I’m suggesting, tongue in cheek wise anyhow, not being very precise about it, direct subsidies will tend to *increase*, not reduce the energy pay back time. Why? Well, say you know that if you put up 5kW on your roof it will cost you 30k$US, but Uncle Sam will cut you a check for half of that. Then you are really willing to spend only $15k. In other words, US is doubling the energy pay back time because we are referencing to the global economy. If there had been no subsidies then the market price of the good would have been lower, and it’s share of total CO2 emissions, as measured by percent of total global CO2/GDP, would have been less. Subsidies increase overall System Costs. I’ll stake my reputation as a blog commenter on it! On the other hand, if US had been reducing the COGs by say, letting solar panel manufactures dump all their chemical waste directly into our lakes and rivers, then, the energy pay back time would tend to be reduced. So a great way to subside the solar panel industry would be to let them save big on production costs by cutting out all those costly regulations on worker and environmental safety. I’m kidding about this last of course, but what I would like to see is for the fossil fuel industry to compete on a level playing field with renewables, and face the same safety and environmental standards. If frackers had to treat their liquid waste streams the same way that Intel or Sunpower treats theirs, no one would ever frack a well. When Intel dumps their plating waste, it has ppb levels of heavy metals. Frackers? Not so much. Proper disposal of flowback fluids is critically important to the protection of both surface and ground water. The vast majority of flowback fluids are disposed of in underground injection wells. Injection of flowback fluids is conducted in a Class II injection well ‡. Underground injection of flowback is regulated by either the U.S. Environmental Protection Agency’s (EPA) Underground Injection Control (UIC) program or by a state granted primary UIC enforcement authority by the EPA. At present there are 39 states, 2 tribes and 3 territories that have delegated authority from the EPA for the Class II (oil and gas related) injection well program. The remaining Class II UIC programs are managed by EPA regional offices. DeWitt I don’t mean to be blithe here, but my source could be well, every newspaper ever written. And the entire legal code of the USA, and, er, your own reply. Does Intel pump untreated Copper plating waste into the ground? Nope. They treat then dump. I”m sure they would love to pump it into deep holes and save some money. But EPA say no way. I’ve worked in both industries, not as the Health and Safety Engineer, but I have had to deal with regulations. I deal with permitting issues on a day to day basis in Electronics manufacturing. I think you are probably correct, from what I have read in newspapers, environmental regs in china are much more lax. If you want to have some fun, go on You Tube and watch videos of what gets dumped in china. You can also see some great videos of workers working in the most dangerous conditions. Having said that, my own experience with Chinese solar factories, although limited, has been that they have pretty high standards. I suspect it is because they know that there could be some big draw backs if their customers got wind that they were dumping lots of HF in a local river. In electronics manufacturing we do use some very hazardous chemicals. And if you do some reading you will find stories of law suits from back in the seventies even against shops like IBM and Intel where the workers were exposed to bad stuff, like solvents, and got cancer, etc. But my own experience is that the industry is very clean now, and that solar, as a sort of off shoot of the IC industry has kept up those practices. That was my experience. For one thing, the heavy metal load from semiconductor manufacturing is probably a lot higher than in fracking fluids. Semiconductor manufacturing uses arsenic and antimony after all. Any heavy metals in fracking liquid came from the ground in the first place. Second, you’re neglecting what happens to the solid waste generated in the water waste treatment plant. That’s where the heavy metals removed from the water end up. It isn’t pumped into deep wells, it goes into hazardous waste landfills. Yes, coal burning plants are dirty, but not as dirty as they used to be and they’re being closed down at a high rate even before the EPA tries to implement the CPP. We may soon see electricity shortages as a result. Your implication, however, is that the entire extraction industry is somehow exempt from environmental regulation. That is simply not true. I’m curious if you’ve looked at other various kinds of pollution in energy production? For instance, I’ve read that IC chip manufacture creates a lot of chemical waste, dirty cleaning solvents and the like. Does solar cell manufacture also create a lot of waste material and solvents? I imagine in a place like China the cost of disposal is low, but the externalized costs may be quite high. In Germany the reverse may be true, the costs of waste disposal is high but external costs are low, because of environmental laws that ensure health and safety protection of workers and citizens, and that such wastes are much less likely to wind up in local rivers, streams or land fills. Reblogged this on How blue.